Here, in the fourth part, a new Land Rover arrives, the Spitfire is launched, Leyland further shuffles the pack at Standard-Triumph and begins to groom Donald Stokes and George Turnbull for greatness. On 11 January 1962, Leyland Motors revealed its financial results. A fall of £1,212,000, or 26 per cent, to £3,412,230 in Leyland Motors’ net profits for the year to September 1961 was considered disappointing in spite of the decline being more than accounted for by the loss of £1,470,792 incurred by Standard-Triumph since it was acquired early in 1961. In the 1960-61 financial year STI produced 78,735 cars. Based on these figures, Standard-Triumph was losing £18.68 for every car it sold. The earlier 12 months had seen buoyant sales of heavy commercial vehicles and the 6 per cent increase to £11,215,675 in Leyland’s profits, before depreciation and tax but excluding Standard-Triumph, compared badly with the 22 per cent advance recorded by its nearest competitor ACV. On 23 January Sir Henry Spurrier, Chairman and Managing Director of Leyland Motors, presented his annual report to the Leyland Motors shareholders. On the subject of its new car-making division, Standard-Triumph, he revealed that compensation totalling £110,000 was paid by Leyland Motors to the Directors and some 300 senior and semi-senior staff of Standard-Triumph International after the share-exchange takeover in June 1961. Because the Standard-Triumph group was continuing to run at a heavy loss and knowing that drastic economies were required, he felt that the economies could be made only by asking for the resignation of the original members of the Standard-Triumph Board, with one exception. In a later part of his statement Sir Henry said that ‘in taking this concern under our wing we have almost certainly saved it from bankruptcy’. Sir Henry also said that, when the Leyland bid was made at the end of 1960, Standard-Triumph had a bank overdraft equal to over a quarter of its net assets. Sir Henry now said the position was now under control: but this had been achieved only at heavy cost and by ruthless action. Then, two days later, Rover announced some senior management changes. Spencer Wilks vacated the chairmanship of the Rover Company while remaining a member of the Board. Maurice Wilks was appointed Chairman in his brother’s place and relinquished the office of Managing Director. Maurice Wilks was thirteen years younger than his brother. George Farmer continued as Executive Vice-Chairman. William Martin-Hurst, Deputy Managing Director, was appointed sole Managing Director. Robert Boyle remained in overall charge of engineering, but was due to retire at the end of the year. 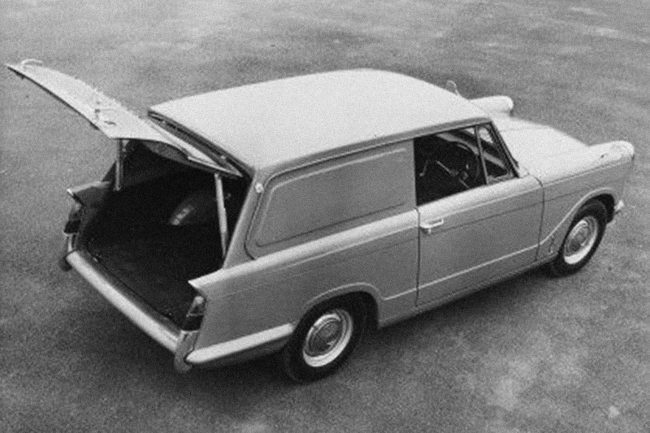 On 14 February Standard-Triumph announced another variant of the Herald, the Courier van. It wasn’t a success – UK production ceased in 1964 after poor sales. On the same day Leyland Motors had its Annual General Meeting. Soon after this Stanley Markland revealed that every TR4 Standard-Triumph made was being sold overseas. Production had reached 500 a week, all bound for the US market. No doubt all this good news was courtesy of Keith Hopkins’ London-based Public Relations Department. On 22 May 1962, Standard-Triumph announced some more management changes. Three new appointments to the Board of Directors were announced by Standard-Triumph International. These concerned Leonard Woodall, who also continued as a Director of certain other subsidiaries in the group, George Turnbull, who was General Manager of Production at the Coventry factories, and Harry Webster, Chief Engineer. This was a sign that the Leyland management did feel that there was some talent in its Standard-Triumph subsidiary and now promoted them to positions of responsibility. For Leonard Woodall this was rehabilitation. He had been one of the Standard-Triumph Directors fired in August 1961. On 25 May Standard-Triumph unveiled the Herald-based Triumph Vitesse. Featuring the 1596cc six-cylinder engine from the Standard Vanguard, 31,261 were manufactured up to 1966, when it was succeeded by a larger 2.0-litre model. The Vitesse was a clever way of charging more for the Triumph Herald platform, using existing components, particularly as BMC now had its bigger version of the Mini in the pipeline, the 1100, which was announced in August. Then, on 5 June, it was announced that Leyland Motors and Associated Commercial Vehicles (ACV) were proposing to merge to form the biggest manufacturing group of heavy commercial vehicles in the world, with combined total assets of nearly £117m. The basis of the merger was that ordinary stockholders of ACV would be offered one Leyland ordinary share for one ACV ordinary share. ACV Directors said they would accept this offer in regard to their own share holdings and recommend acceptance of the offer to their shareholders. 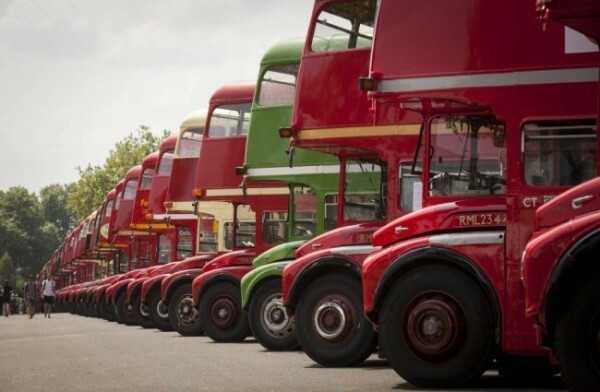 The ACV group also covered AEC and was concerned in the making of chassis for heavy duty lorries, buses, coaches and diesel engines for industrial and marine use. It included Park Royal Limited, manufacturers of the London Transport buses, and Charles H. Rowe, makers of the Leeds buses. Lord Brabazon of Tara, Chairman of ACV and one of Britain’s pioneering aviators, disclosed that talks had been going on for two months. Together the groups manufactured some 60 per cent of heavy vehicles of over four tons unladen weight. Sir William Black, Managing Director of ACV, put the joint sales of vehicles at £150 million including cars. The new joint group employed 46,000 workers in Britain. In late August Lord Brabazon and Sir William Black joined the Board of Leyland Motors, as a result of Leyland’s acquisition of Associated Commercial Vehicles. Shortly after this Sir Henry Spurrier, Chairman and Managing Director of Leyland Motors, Stanley Markland, Deputy Managing Director, and Donald Stokes, Sales Director, joined the board of Associated Commercial Vehicles. Sir Henry Spurrier said: ‘We are extremely optimistic about the benefits which will add to both organisations from the merger and particularly from the integration of our manufacturing, research and development facilities. ‘This will combine a pool of knowledge and experience which is unrivalled in the field of heavy lorries and passenger transport. In Great Britain, however, we intend to run our organisation independently and indeed competitively as we feel that this provides a stimulant to both companies and is ultimately of great benefit to our customers. On 20 September changes in the top organization of the Leyland Motors group were announced after the Leyland-ACV merger. They included the retirement of Sir Henry Spurrier from the position of Managing Director of Leyland Motors Limited to take over as Executive Chairman of a new group policy-forming company. The title of the new company would be revealed in the near future. All members of the existing Leyland Board were to be appointed to the Board of the new company. Leyland Motors Limited would continue to administer the business of its Lancashire group of factories. Sir Henry Spurrier would stay as Chairman with Stanley Markland as Deputy Chairman and Donald Stokes (right) as the new Managing Director. Stanley Markland would continue as Managing Director of Standard-Triumph International and of Albion Motors, while Donald Stokes would keep his place of Managing Director of Scammell Lorries and Sales Director of the group. 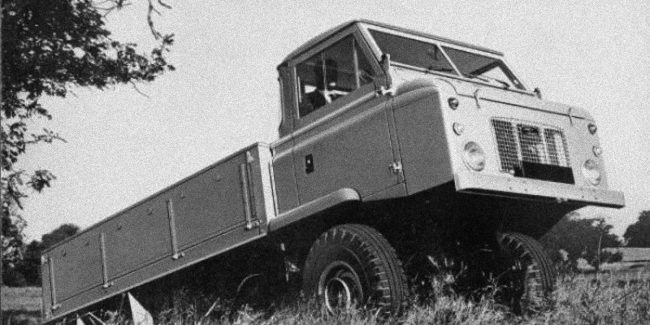 Sir Henry Spurrier had now found out that he was seriously ill.
That same month the Land Rover Series 2a Forward Control was launched. Based on the 109 inch chassis, with the cab positioned over the engine to give more load space. Export vehicles were the first Land Rovers to get the 2.6-litre inlet-over exhaust petrol engine used in Rover saloon cars. Less than 2500 were made, and most had a utility body. 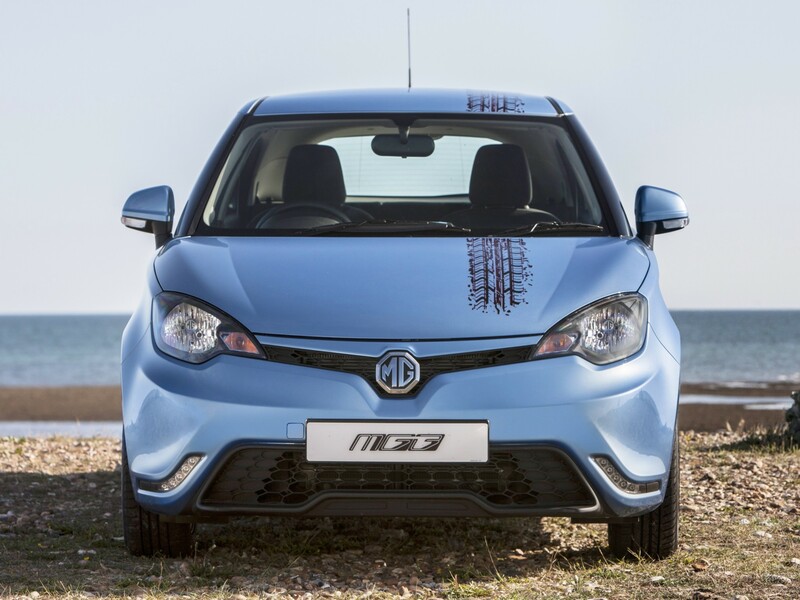 On 19 October, Rover announced its financial results. Pre-tax group profits fell by 22 per cent in the previous year. Earnings in the year ending 4 August 1962 fell from £2,234,440 to £1,725,781, after heavier depreciation of fixed assets and freehold property reserve (£1,100,000 against £785,200). But there was a big saving in taxation, requirements being reduced from £1,007,000 to £603,000. Thus the fall in the net profit was limited to about £112,000 at £1,117,825. In 1962, Rover produced around 48,133 vehicles, indicating that, in automotive terms, they were minnows. Only their future partner Jaguar produced less. The same month, Standard-Triumph announced its latest offshoot of the Herald platform, Project ‘Bomb’ AKA the Triumph Spitfire (below). A rival for the BMC ‘Spridget’ sports cars, it would last until 1980. In December, John Carpenter was appointed General Sales Manager of Standard-Triumph Sales and Lyndon Mills became the head of home sales in succession to Frank Higham, who left the company to become Director General of the Motor Agents Association. John Carpenter was born in 1925. 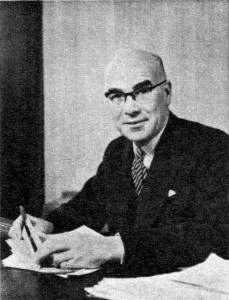 After graduating from University College London he had joined Ford of Britain in 1949, defecting to Standard in 1955, around the same time as Martin Tustin did the same. Also in 1962 Standard-Triumph began work on a Herald replacement, codenamed Ajax. Concern at Canley that the Herald was not meeting it sales expectations led to STI initiating Project Ajax as a properly-engineered replacement without out the compromises that had afflicted the Herald in its development phase. 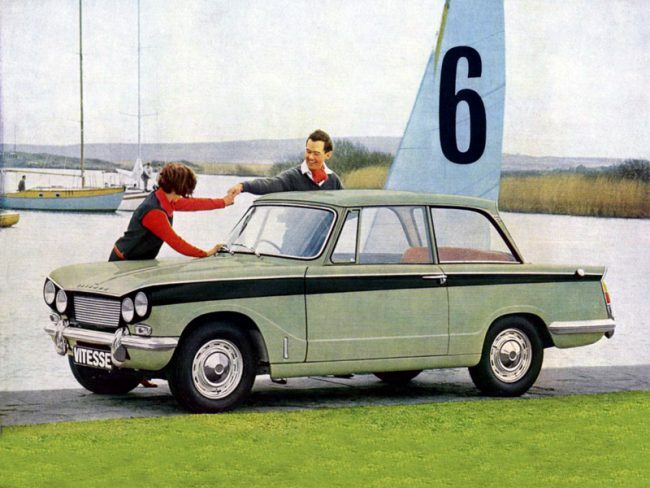 It became the Triumph 1300 of 1965. And so 1962 turned into 1963, when both Rover and Triumph would unveil their new two-litre executive saloons. Curious to know why Donald Stokes was chosen over Stanley Markland to succeed Henry Spurrier as chairman of Leyland Motors? Given Stanley Markland’s record with Leyland Motors (and Standard-Triumph), it would have been interesting seeing how he would have run British Leyland along with the likes of Joe Edwards. Stokes had sold massive contracts for Leyland buses – particularly to Cuba so was seen as the rising star. Unfortunately British management always seem to see good sales as meaning ability to manage, which in my experience is not exactly the case. I always liked the Vitesse, particularly with the larger 2 litre motor. Looked sporty with twin headlamps while using the Herald’s body & components. Along with the likes of Rover, Austin, & Morris, Triumph was another big missing name on the UK motoring scene. Even though the Acclaim was pure Honda, at least it carried the famous Triumph badge a little longer into the 80’s.